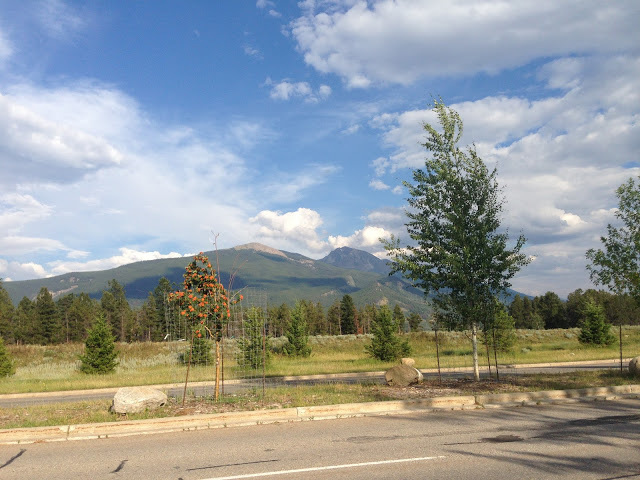 No elevation chart for today, but it was basically downhill to Jasper and then a gradual uphill on a 15mi roadwalk. Here is the view looking towards Jasper as we approached. 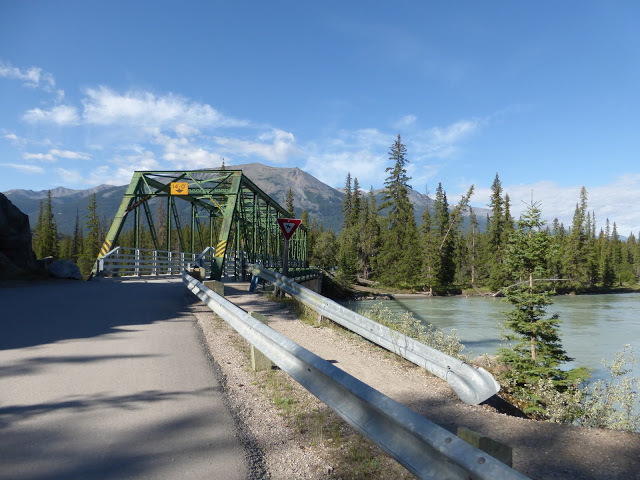 We crossed the Athabasca River before hitting town. 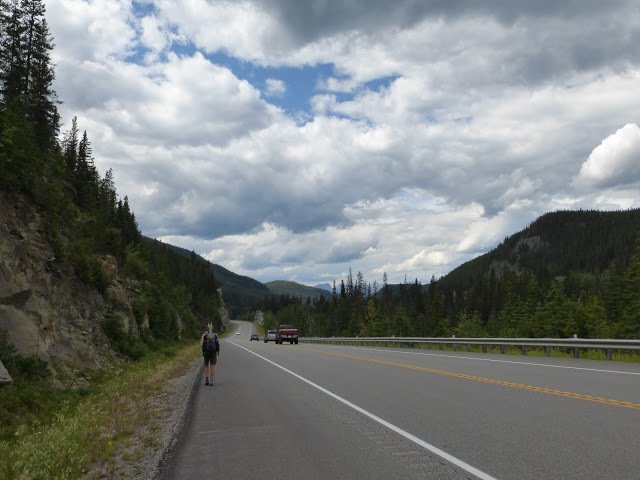 When we hit town around 11am, we had brunch and powered up to keep walkin…you see, there is a 15mi/24km highway walk leaving Jasper. 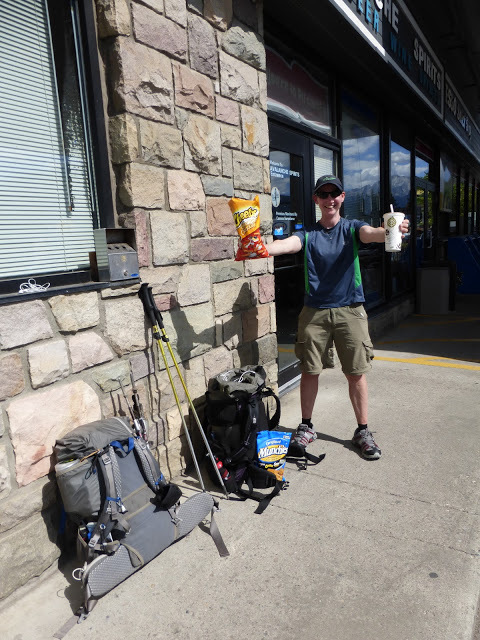 We decided that we’d rather do it now with lighter packs and get it over with than to add it on to the mileage of the next leg with a full pack of food to carry. We did go to the ice cream shop after our brunch to have some ice cream as we hiked out onto that highway. I was powered by the snacks of champions…Cheetos and a chocolate milkshake, yeah!!! We blazed it and somehow got it done much quicker than we thought. For the fist time all hike, E wore headphones (she doesn’t even carry them regularly!) and listened to podcasts and music to distract from the road walking…she was walking so fast I had to run at times to catch up. It was great! The road walk was actually scenic and we had clouds to shade us, so it worked out nicely. 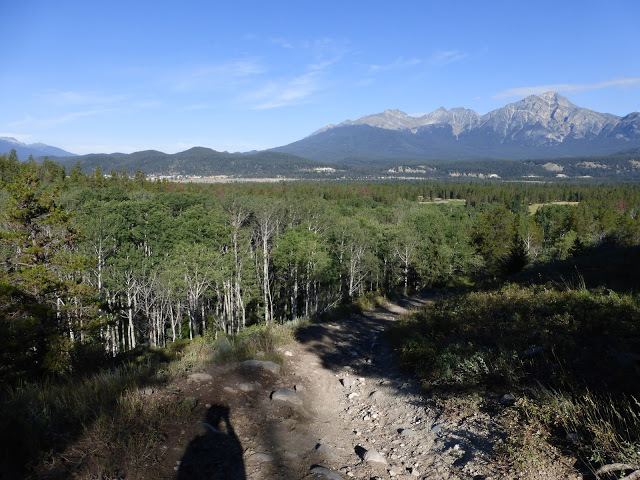 When we got to the end of the road walk, we were at the west gate to Jasper National Park. It was a lucky spot to hitch because cars were already stopped to go through the checkpoint. It took literally two minutes and a guy pulled over. 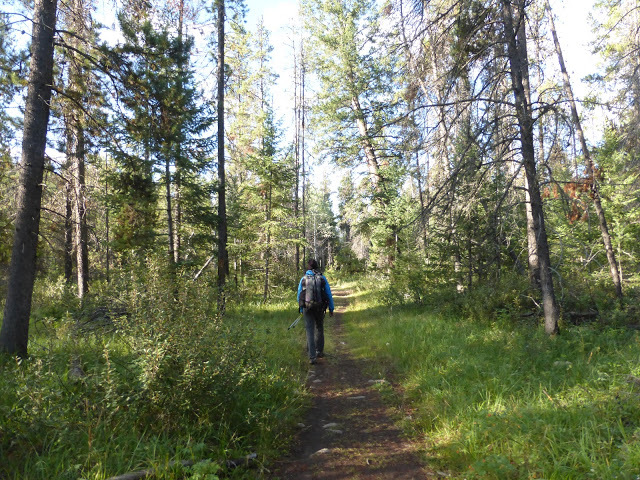 As we were introducing us, he recognized me and asked if I had hiked the PCT. 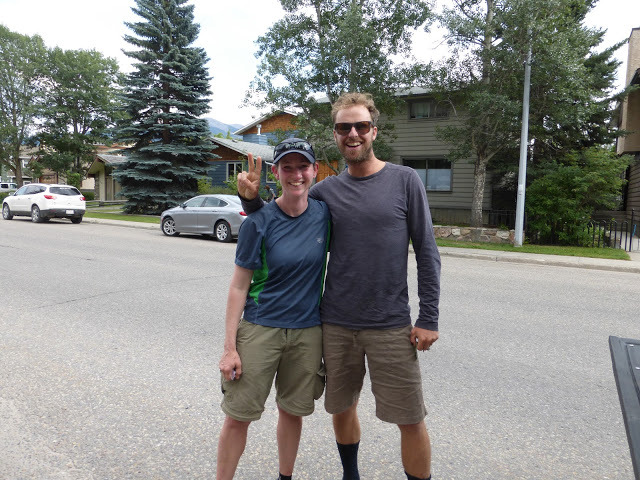 Turns out it was Lovebird, who I briefly overlapped with on the PCT when he and his wife Raven also hiked it in 2011. What a small world! Thanks for the ride Lovebird! There was a slight mix-up in our B&B place, so they put us up in a hotel, sweet! We both are quite ready for a zero tomorrow! It’s been awhile and will be good to have some down time off the feet. Especially after that road walk, ha! Across from our hotel, you can see where we started from this morning and where I took the photo atop Signal Mountain (brown top) last night.